NJTC would love to invite you to play tennis with us. We have opportunities for all levels and for whatever level of competition you want. 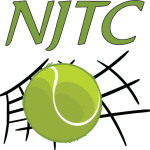 Drop in tennis every Saturday night, winter indoor socials, League tennis opportunities, and the best time you could have at a tennis tournament NJTC has it all.